Bounce rate is a term used in web traffic analysis. It represents the percentage of visitors who enter the site and then leave (“bounce”) rather than continuing to view other pages within the same site. If your success and business goals depend on users viewing more than one page, then a high bounce rate is bad as it means your website is not retaining your visitors. 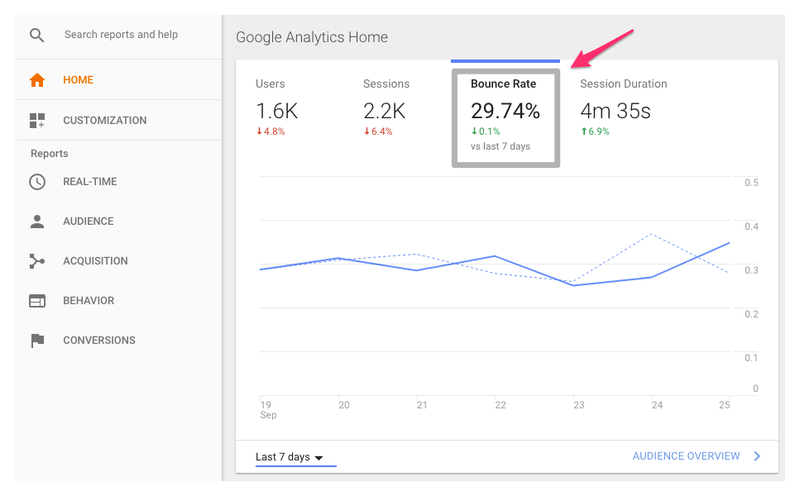 If you use Google Analytics as your metrics system, you can look for your site’s bounce rate statistics in your account. Just sign in and select the website for which you’d like to see the average percentage. Once you are on the Home page, click on the metric Bounce Rate for details or go to Audience > Overview page. To view the bounce rate statistics of individual pages, navigate on the left menu to Behavior > Site Content > All Pages. There you can see the Bounce Rate column, among other metrics. Remember that you can see your site’s bounce rate in specific dates and time ranges too just by changing the date range from the top right hand corner. In this article, we will take a look at 5 effective ways to reduce bounce rate in WordPress. A slow-loading site is one of the most common causes of a high bounce rate. No one likes to stare at an empty screen and wait for a page to load when browsing the web. If your site runs slow it can frustrate people and they will end up abandoning your site. The first thing you should do (if you haven’t yet) is to measure your current site speed to know how to optimize it. There are different tools available for it. Use lazy loading to speed up the delivery of your content. Producing low quality content that does not provide what your visitors want or that is hard to understand will make them bounce before they go any further. Let’s say you create an ad for “Best WordPress Themes”, but your visitors land on a page that primarily talks about WordPress plugins. They will take a quick look at your site and immediately leave if they cannot find what they came for. Make content clear and pay special attention to headlines and subheadings as this is the first thing your visitors will scan. When people visit your website they are expecting to find relatable and useful content, so try to catch the most important points in the appropriate section (where they can see it). Otherwise, they will not take the time to search your site. Lastly, don’t forget to examine whether your content correlates well with the marketing you use to drive users to your pages. An excerpt in WordPress is a summary of the content with a link to full post. This gives your users the choice to click on the post they want to read. Displaying short summaries rather than full posts has many benefits. It helps to improve page loading times, encourages more pageviews and decreases bounce rate. If you are not sure how to show post excerpts in your WordPress blog, here you have an article that will help you out. Depending on the size of your site, you may have hundreds or more articles. For people to find what they are looking for, a search bar might be quite helpful as it will allow them to search through your entire content quickly and easily. In addition, keywords used for searching on your website tell you what your visitors want to find. They provide invaluable information. The default WordPress search feature is fairly limiting. However, there are a number of plugins that can help you improve the search experience such as Relevanssi or Better Search. The easier it is for people to navigate around your whole site, the more likely it is that they will. If not, they can easily click away to another site, increasing your bounce rate. Again, make sure you have relevant content with easy navigation and offer users easy paths to the next steps you want them to take. 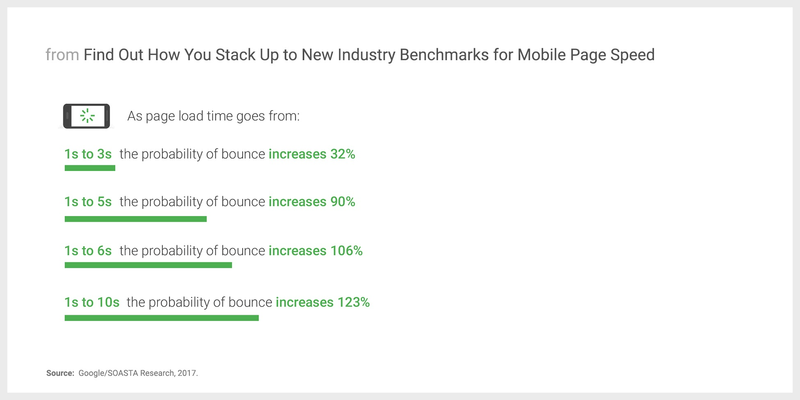 Not having a clear next step (or call to action) can lead to a high bounce rate too. Apart from being distracting, a lot of pop-ups can make your users feel like they are being scammed. If they are not convinced that your site is reliable and safe for any reason, they will leave within the first few seconds after arriving, having this a negative impact on your bounce rate statistics. Try to keep your design elements clean and make sure they communicate credibility and safety. 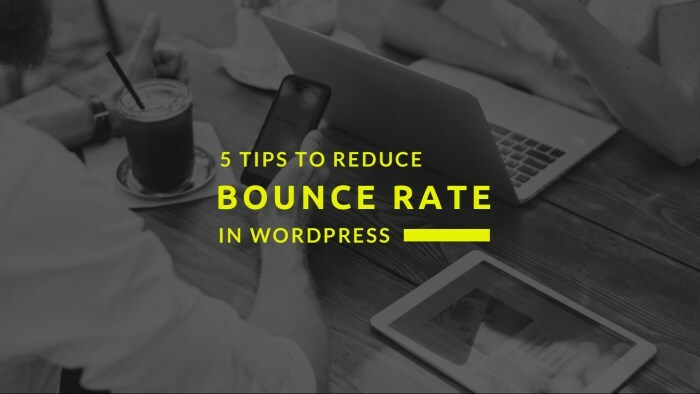 There are many other ways to reduce bounce rate in WordPress, but the above five are some of the most effective ones. Just remember the most important thing: always produce great content that provides value. Have you tried any of these suggestions to reduce bounce rate? Let us know in the comments below!